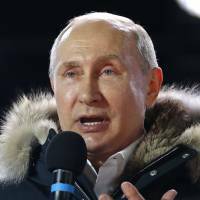 The government on Monday welcomed the re-election of Russian President Vladimir Putin and pledged to continue talks with Moscow on settling a long-standing territorial dispute over four disputed isles off Hokkaido. “As we advance Japan-Russia relations in a broad range of fields in our national interest, we will continue to persistently negotiate with Russia toward the resolution of the issue of the four islands’ sovereignty,” Chief Cabinet Secretary Yoshihide Suga told a news conference.The top government spokesman made the comments after Putin, now the Kremlin’s longest-serving leader since Soviet dictator Joseph Stalin, won re-election with about 77 percent of the vote, handing him a new six-year term. Japan sees planned economic activities on and around the Russian-held isles off Hokkaido as holding the key to resolving the territorial row. Prime Minister Shinzo Abe and Putin agreed in 2016 to jointly carry out economic projects under a special framework that will not undermine their respective legal positions on their sovereignty, but no real progress has been announced since. Abe has described the deal on the projects as an “important first step to sign a peace treaty” that will set out a new future-oriented vision for the Russian-held islands. The dispute has prevented Tokyo and Moscow from signing a peace treaty to formally end the war. “What if Japan were to say that it would end its alliance with the United States or something obviously that Russia wants. Well, even then, I don’t really think that Russia would just hand over the islands,” Brown said. Nobuo Shimotomai, a professor of Russian politics at Hosei University, said to conclude a peace treaty, Japan has many other obstacles to overcome, not just improving its relationship with Moscow. Japan needs to take into account how Russia’s relations with China will develop and how the situation surrounding North Korea will unfold, the professor said. 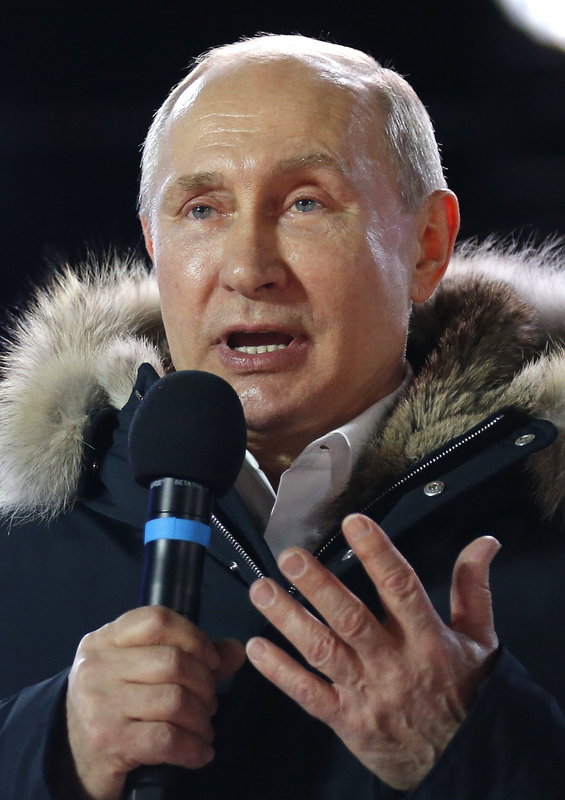 But above all, he said, “Japan-U.S. relations and U.S.-Russia relations” will have a huge impact on whether Tokyo and Moscow can make progress toward a peace treaty. In a recent group interview with Japanese media organizations in Moscow, Russian Foreign Minister Sergey Lavrov warned that Japan’s deployment of Aegis Ashore, a U.S.-made, land-based anti-missile system, could be an “irritant” in the bilateral relationship. “How can we compare the tasks of removing the problems in our relations with the fact that the U.S. missile defense, which is a threat to us, will be in Japanese territory,” Lavrov was quoted by Kyodo News as saying. Lavrov is scheduled to hold talks with Foreign Minister Taro Kono in Tokyo on Wednesday, with the joint economic activities expected to top the agenda.”When Minister Kono previously visited Moscow, the two sides agreed to give instructions to their respective working-level officials to strive to actively clarify joint economic activities ahead of the potential summit in May, and these efforts are currently taking place,” Foreign Press Secretary Norio Maruyama told a news conference last week.